Digital dangers for kids - FirstMed - Your Health Comes First! T he American Academy of Pediatrics has outlined the directions in infants’, toddlers’ and preschoolers’ increasing media use rates. Children are now growing up in environments saturated with a variety of traditional and new technologies, which are being adopted at increasing rates. There has been much hope for the educational potential of interactive media for young children, but this is coupled with concerns of overuse during this crucial period of brain development, and research on this topic still remains limited. Pediatric care providers can offer specific guidance to families in managing their children’s media use, not only in terms of content or time limits, but also emphasizing the importance of parent-child shared media use and allowing the child time to take part in other developmentally healthy activities. That’s because no one knows how digital media such as smartphones, iPads, and other media screens may be affecting children. Many parents experience an uphill battle with limiting their children to use these gadgets. They are hard to prohibit given their ubiquity in the hands of similar-aged children as they huddle around tablets at restaurants, concerts, or even sporting events. The few “safe zones” that exist are limited to playgrounds and swimming pools. While some adults think there is an educational use for the tablet, they don’t know anything about the possible side effects that come with the use of electronic devices for children. Sometimes kids need to get bored. It is at this point they learn to stretch their creative muscles and engage their imagination. If we’re always putting a tablet into their hands when they do get bored, we kill the chance to play with dolls, drawing or building Lego towers, and doing hundreds of non-digital activities. They learn new things from the tablet but miss out on experiencing important things when using one. Children learn through play and by interacting with the world. They have to learn how to deal with frustration when a headstrong playmate takes a favourite toy. The iPad in their hands is taking away time from other vital lessons the child must learn. Julia Ma, at the University of Toronto, and her colleagues found that, in children younger than 2 years the more time spent with a handheld screen, such as a smartphone or tablet, the more likely the child was to show signs of a speech delay. A different study, published in Scientific Reports, looked at handheld digital device use among young children and its relationship to sleep. As a group, kids from ages 6 months to 3 years who spent more time using mobile touch-screen devices got less sleep at night. Each additional hour of touch-screen use is linked to about 15 minutes less sleep over 24 hours. Some psychologists found that there are no educational benefits of good programs for children before a child hits 30 months. Starting at 15 months of age, toddlers can learn novel words from touch-screens in laboratory-based studies but have trouble transferring this knowledge to the three-dimensional world. It is also emphasised in the study (Media and Young Minds) where the higher-order thinking skills and executive functions essential for school success, such as task persistence, impulse control, emotion regulation, and creative, flexible thinking, are best taught through unstructured and social (not digital) play, as well as responsive parent-child interactions. Heavy media use during pre-school years is associated with small increases in Body Mass Index (BMI), and causes a danger for obesity in minority children and sets the stage for weight gain later in childhood. A recent study of 2-year-olds found that BMI increased for every hour per week of media consumed. It is believed that exposure to food advertising and watching television while eating drives these associations. Parent media use is a strong predictor of child media habits. Reducing parental media use and enhancing parent-child interactions may be an important area of behavior change. 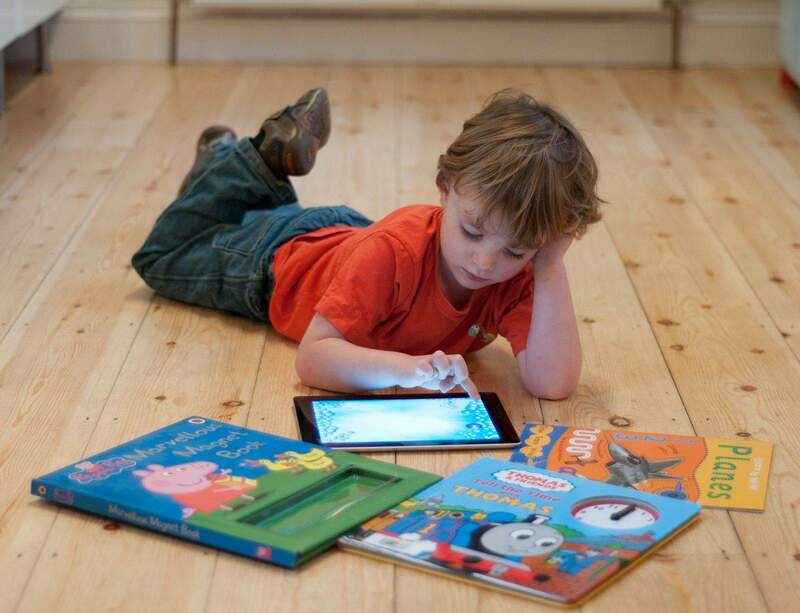 Limit time on digital media for children 2 to 5 years to no more than 1 hour per day to allow children ample time to engage in other activities important to their health and development, and to establish media viewing habits associated with lower risk of obesity later in life. For parents of children 18 to 24 months of age who want to introduce digital media, it is advised that they choose high-quality programming/apps and use them together with children. This is how toddlers may learn best. Letting children use media by themselves should be avoided. No screens one hour before bedtime, and remove devices from bedrooms before bed. Keep bedrooms, mealtimes, and parent-child playtimes screen-free for children and parents. Parents can set a “do not disturb” option on their phones during these times.